Mandaveli is a locality in Chennai located close to Mylapore. It is quite centrally located and surrounded by most of Chennai’s best known neighborhoods. It is a quiet and peaceful residential area with several upcoming projects. If you’re looking for luxury villas in Mandaveli, consider Casagrand Olympus. 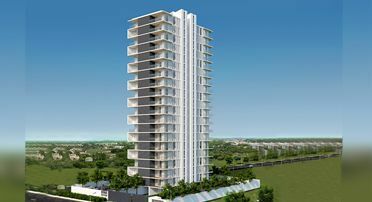 This residential project is in a serene location with a spectacular view of the Adyar river and the sea. Casagrand Olympus consists of 38 exclusive villas, each with three bedrooms and attached bathrooms. As is the case with every luxury home built by Casagrand, Olympus too comes with best of class amenities and facilities like 3 side ventilation, Italian marble flooring in living and dining rooms. Casagrand Olympus enjoys proximity to St. John’s school, Marina beach, Kapaleeshwar Temple and the Adyar River. If you’re looking to buy a home or invest in one, turn to Casagrand – India’s leading builder and real estate developer. Schedule a site visit by filling out the enquiry form.